The Kindergarten year is the time when many of the earlier lessons come together and become a permanent part of the young child’s understanding. Through the Montessori method your child started as a novice grew to an apprentice and now their Kindergarten year they become a leader. The Kindergarten curriculum is carefully structured and integrated to demonstrate the connections among the different areas. The Kindergarten year highlights critical thinking, composition, and research based projects. 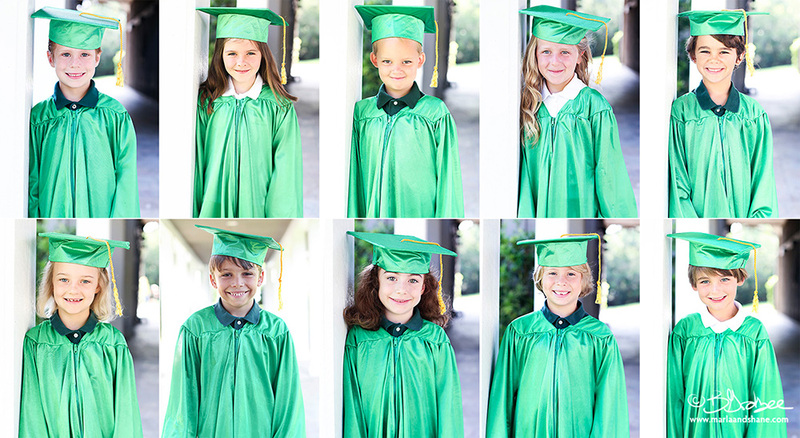 In Montessori your child continues to set the pace for his or her own education and developmental growth. The Montessori teacher’s goal is to guide and facilitate. Acting as a guide for the students involves more than using certain words and particular tone. 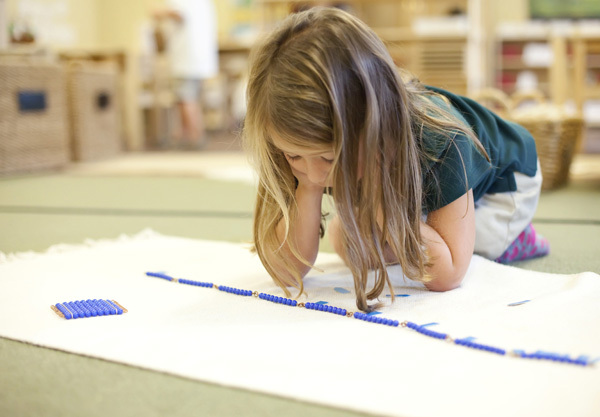 It also involves awareness, attitude, body language, and actions that reflect the principles of the Montessori method. Language Arts: Language Arts builds on the foundation laid in Preschool and Pre- Kindergarten. This sets the stage for the children to master skills such as reading, writing, spelling, dictionary skills, poetry, penmanship and handwriting, and parts of speech and grammar. Each skill builds to another and forms a solid base which leads to ease of integration with other subjects. Writing a research project on whales or explaining how a math equation is worked out is easily achieved as a result. Mathematics: There is nothing in our world that does not in some way relate to mathematics. Being able to apply mathematic skills in other areas such as language, art and sensorial are most beneficial. The four operations are taught (addition, subtraction, division and multiplication) in detail building on skills learned in preschool. A fair portion of the math curriculum is devoted to Geometry and related lessons including use of the Geometry Cabinet, Constructive Triangle Boxes, Nomenclature Cards and multiplication and division. Also included in the child’s studies will be fractions and factors of multiples. Physical and Cultural Geography: The earth is our home, but what do we really know about it? In our Geography curriculum we look at the formation of the Earth, its place in the Solar System, its atmosphere, weather and seasons and its various land and water features. We also explore ways of representing these features through the use of maps; finding our way with lines of longitude and latitude and a compass. A major component of this curriculum is the study of continents, countries of the world, and culture. Botany Zoology: Plants are one key component that sustain animal life on earth. In our Botany we teach the plant anatomy, plant physiology, plant geography and plant horticulture. Zoology encompasses an overview of the animal kingdom and classification suitable for the Kindergarten classroom. We explore animal needs and Biomes. Health Sciences and Wellness: As a part of the “Cosmic Educator” Maria Montessori believed that a healthy mind, body and spirit are essential elements to success on the universal path and progression of development. Through the use of science we encourage the child to be a creative problem solver and think outside the box. Advanced Practical Life: Children entering Montessori Kindergarten have already had fairly unlimited access to basic Practical Life activities. As these children mature, more challenging Practical Life material will be introduced to the child that hone the skills needed for success in later subjects and life in general. The activities in the Advanced Practical Life area are simpler versions of many of those that the adults in their lives engage in. Topics such as food preparation, cooking, sewing and basic etiquette that will help the child develop a high level of concentration and improve fine motor skills, while evoking a sense of respect for others and the environment.